When I travel, I normally pack my portable easel, brushes, and a box of oil paints (with a note to remind customs that my “artist materials” do not pose a danger to air travel). This past August, we were on Cunard’s Queen Victoria, cruising the Baltic Sea. Instead of my usual paints, I packed a sketchbook and some graphic pencils. 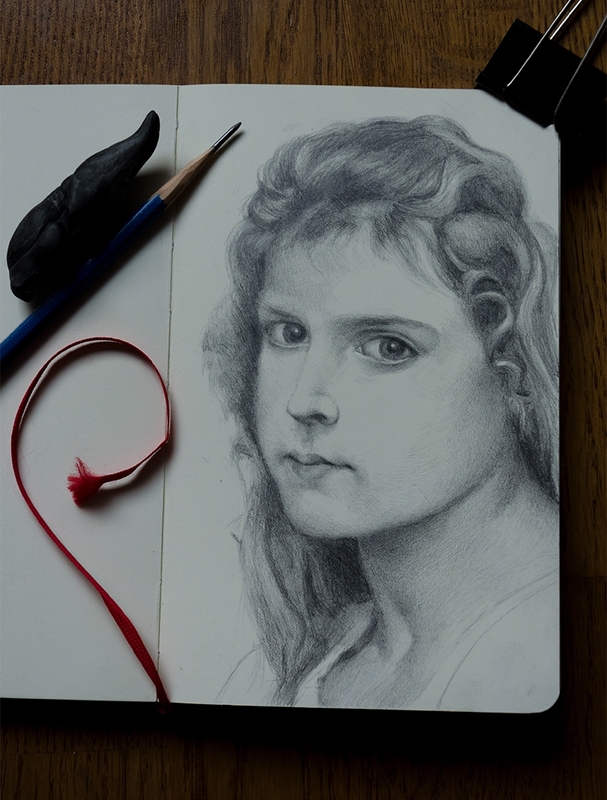 On sea days, I would pull out the sketchbook and work on copies of master portraits I admire. I learned to appreciate again the fine details you can achieve with a graphic pencil, even a dull one. Below are two sketches. 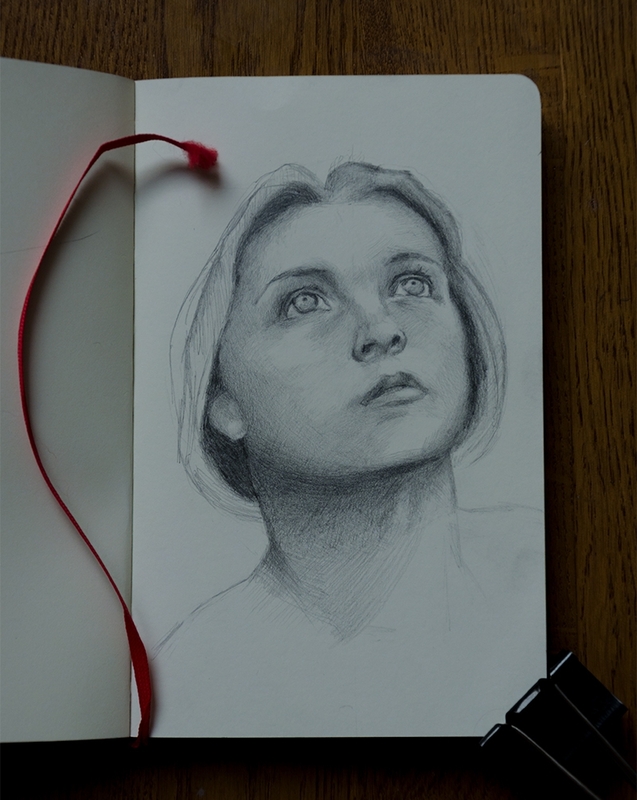 The first is based on the head of the peasant girl in William Adolphe Bouguereau’s painting: “Jeanne” (1888), approximately 6″ x 4″. The second portrait is from the angel’s head in Annie Swynnerton’s “The Sense of Sight”, (1895). I really missed the ability to sharpen a pencil properly, which means giving it a long, tapered point with a knife. I obviously couldn’t travel with one, and I didn’t feel I could ask the ship’s crew to borrow one. I also rediscovered how the consequences of dropping a pencil are not the same as those of dropping a paintbrush (Clue: the tip of a paintbrush doesn’t shatter). Fortunately, I packed some spare pencils. I made one innovation too: using dental floss for a measuring tool — comparing lengths and distances relative to my source images on the ipad) and for setting a plumb line. I know have several fresh sketches in the book and will continue to add to the collection in future travels. It’s a great way to pass the time without making a mess. And unlike painting there’s no clean up involved.